What does Carrier status mean? 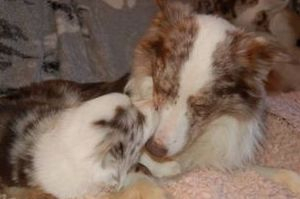 Dj and Muse both carry CEA (Collie Eye Anomaly). This means that they are not affected by the sight disorder, but that they can pass the CEA gene on to their children. If either were to be mated to another carrier, they could produce puppies that will eventually go blind. You may wonder why we still consider breeding from them when they carry CEA. Choosing a stud, or even mating pair is very much about a big picture. Dj ticks virtually every box.His temperament is second to none, he is free from all other known disease in BCs, and he is a wonderful example of a healthy Border Collie. His progeny are superb, and carry on his qualities, in particular his wonderful temperament. There are many dogs clear of all known diseases that do not have his qualities. Muse too has all these qualities. The Border Collie gene pool is relatively limited. A single dog, Wiston Cap, proliferated in the 1950's, siring around 2,000 progeny, and every British BC litter now goes back to him. The last unrelated litter was registered in 2000. 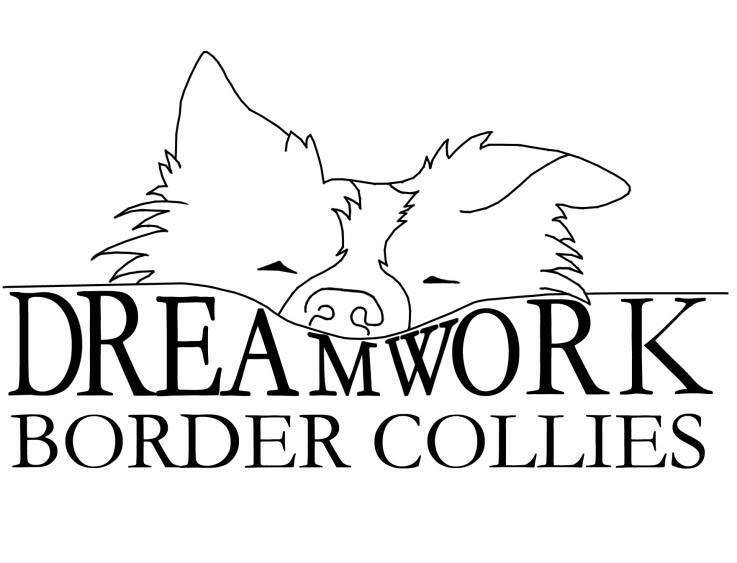 If every single dog that carried one or other of the diseases was discounted from breeding, Border Collies would quickly become in crisis, as the gene pool would become considerably compromised. The reason we have DNA tests is to enable us to breed knowledgably, without producing disease, but also without limiting the gene pool further. Dj is retired from stud now. He was not used prolifically - just four litters, but we believe that he has made an excellent contribution to the breed via his lovely offspring and now our second-generation Dreamwork litters. DNA tests for CEA status are available from Optigen.